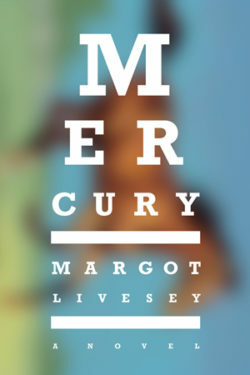 Margot Livesy talks about her new novel, Mercury. 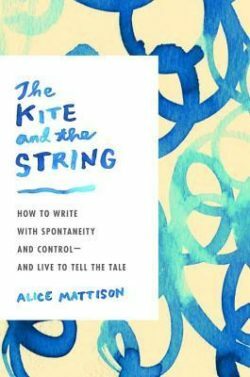 Then, some great advice about writing that urges freedom and discipline: Alice Mattison talks about her book, The Kite and the String: How to Write with Spontaneity and Control—and Live to Tell the Tale. Margot Livesy’s novels often center around the themes of “regret and responsibility, truth and trust”, as one reviewer wrote about her novel The House on Fortune Street. We spoke with Livesy about that book in 2008, as well as The Flight of Gemma Hardy, her 2012 novel. Now she’s out with a new book, Mercury, that revisits these themes. Mercury is the name of a god — and a poison. One could say both these meanings are involved in Livesy’s new story, embodied in the character of a race horse by that name who becomes the object of obsession by one of the novel’s two protagonists, Viv. The story is told in tandem by Viv and by her husband Donald and we follow the couple down into the very dark regions that Viv’s obsession and Donald’s mounting panic about it take them. Margot Livesey grew up in Scotland and has lived in the US for a long time. She teaches at the University of Iowa Writers’ Workshop and has published 8 novels. Mercury was published in September 2016 by HarperCollins. Books about writing can make you anxious. You compare yourself to the great writers and think you’ll never be published — which is probably a good thing. Or you don’t know how to start — and possibly worse, when to stop. Books about writing have all sorts of prescriptions in them that, if you could follow them, you probably wouldn’t need to read the book. So when Francesca was sent Alice Mattison’s book The Kite And The String by the publisher, Penguin Random House, she put the book on a shelf for a few weeks before she dared to open it. But the title kept on calling to her. “The Kite and the String”? What does that mean? She had to at least start reading the book to find out. The genius of this slim volume is that Mattison has been there. She’s had the self-doubts, the second-guesses, the struggles to find her voice — and found a way through the Scylla and Charybdis of too much over-thinking on the one hand and too much sloppy license on the other. Her subtitle says it all: How to Write with Spontaneity and Control—and Live to Tell the Tale. Alice Mattison has published six novels as well as four collections of short stories and a collection of poems. She has taught at Brooklyn College, Yale University, and, for the last twenty-one years, in the Bennington Writing Seminars, the MFA program at Bennington College.